I picked up Syrup last winter after a quick trip to MAC. As I was playing around with lots of different shades I pulled Syrup out, thinking it won’t be anything special. Once I swatched it, however, I instantly knew I need it in my life. 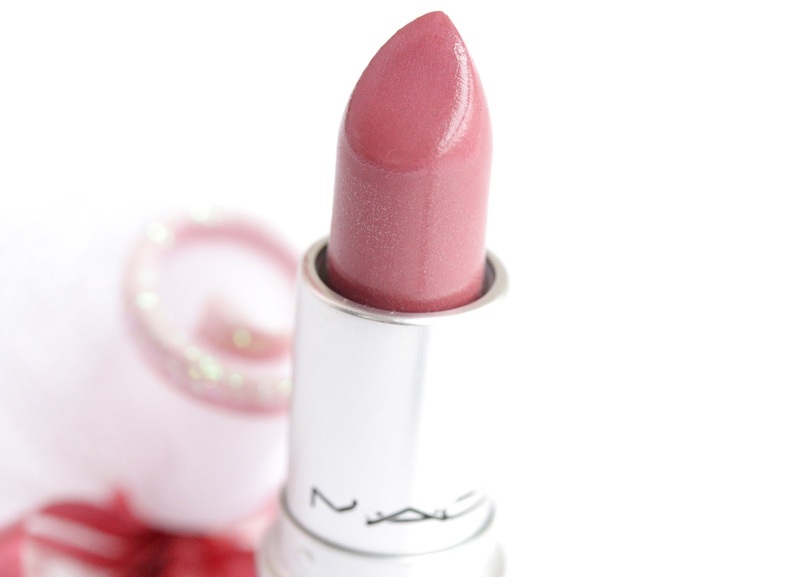 MAC describe Syrup as ‘cloudy pink’ and I’d say it is a gorgeous, muted mauve pink with slight berry tones to it. The lovely cool hues of this shade make it right up my street. As my skin has pink undertones to it, Syrup really compliments it beautifully. My mum’s skin though is more on the warmer side and Syrup looks fab on her too so if you have yellow tones – fear not! 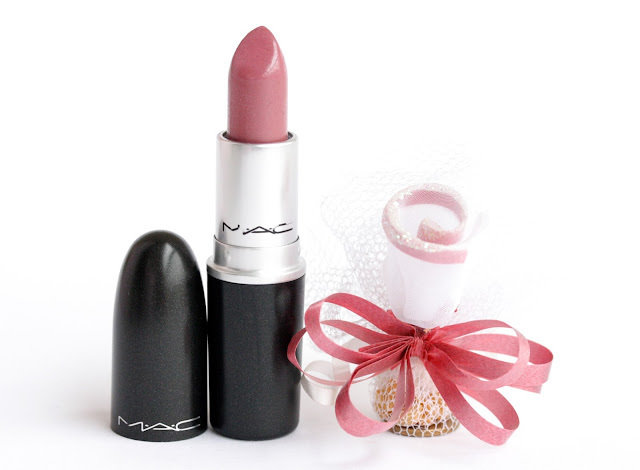 :) What I adore about this shade is that it is really versatile. It is perfect for an everyday wear with very minimal eye makeup on or you can wear it with a more dramatic smokey eye and it would still look amazing. Have you tried Syrup before? Which is your go-to fall lipstick shade? Gorgeous! I've seen quite a few people talk about this shade. I think it would make a great MLBB for me, but a lovely daily shade all year round nonetheless! I love the lustre formula too! this colour is really pretty! I have this shade and I love it!! I need to add a more toned down shade to my lipstick collection as I'm constantly buying bright shades. This looks so gorgeous. I've never tried a Lustre either! Fab review lovely. I want this lippy so bad! its so gorgeous! That's a really lovely color! I can see myself wearing it as well, specially now in the fall!! =D I love how you're honest in your reviews and always also mention the less good things that might make a product a "no-go" for someone! I'm not a huge lipstick person but I've actually had this one on my wishlist for a while-- it's one I always almost get, but never actually do because I talk myself out of it with how little I wear proper lipsticks! This post definitely makes me want to cave and finally pick it up though! i keep wanting this but i have so many pinky nudes it'll have to wait till i get through a few of those first! Love this shade! It's such a pretty pink. I have been lusting after this shade for ages. I see myself getting a lot of use out of this lipstick, as it is a perfect everyday shade and I just really love the finish! I keep seeing reviews popping up on Syrup so I will have to go check it out the next time I go to the mall. It looks like such a stunning colour for Fall, and if it won't accentuate dry patches on the lips (aren't dry lips fun?) then it's definitely worth looking at! I really like how it looks! Personally I don't really like pink shades of lipstick for me, but this one is some kind of old rose which reminds me of Rimmel Apocalips in Celestial in a way :) I think I might try to find this one haha! Such a gorgeous shade I really need this for Autumn! Your reviews are always so thorough, really great :D And I can totally imagine this colour on you, it's adorable. I can quite imagine that as a colour for the winter-spring transition as well, it reminds me a bit of pink buds. And yeah, Chai time! I do need to go out and get me some on the next shopping trip! I have a very look alike shade but different brand and I love it. It's the exact "my lips but better" color. Syrup was my everyday lipstick for months and seeing this post I need to dig it out and return to wearing it. Looks like a gorgeous colour! !